We at Cecilia Gonzales Jewelry know a thing or two about finding the perfect bangle- some are too thin, some are too thick, and most are just too big. However, Cecilia has created the perfect bangle- the oval shape make this a wearable item for almost ANY wrist/arm out there. 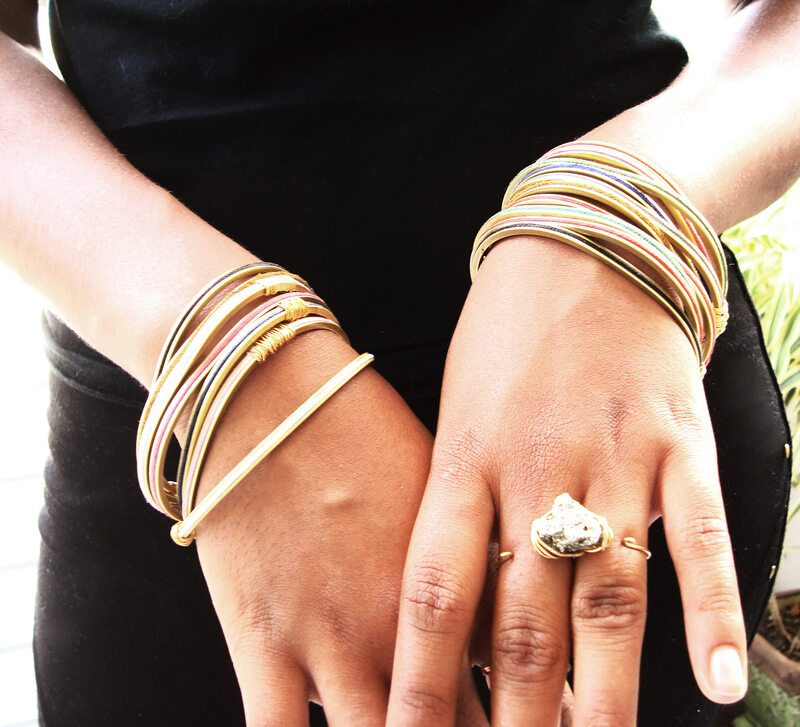 And, with the boho-chic addition of thread and suede, these matte brass bangles really are a step ahead! The Oval Bangle is a very interesting piece- from the top view it’s a gold bangle, but from the side it’s a gorgeous, multi-colored unique addition to any ensemble. 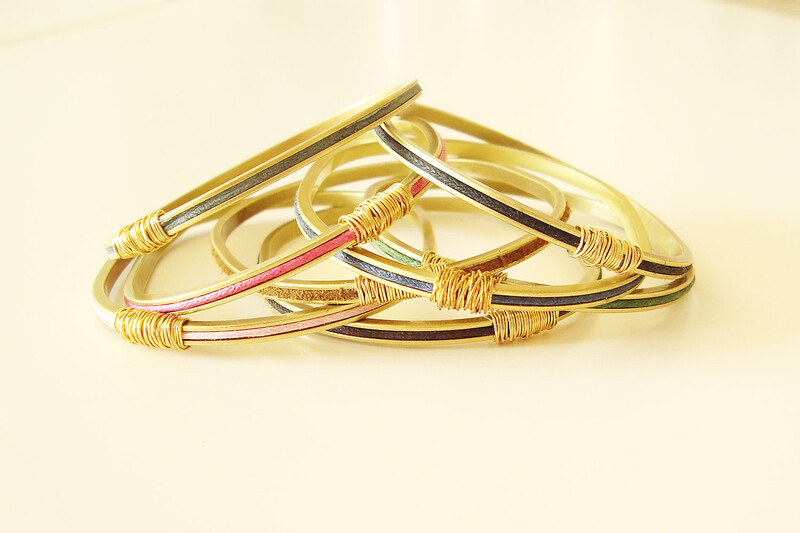 The bangles are available in red, black, grass green, navy blue, brown, pink, light blue and fuchsia thread finishes. As a special introduction to the newest design, the gorgeous Oval Bangles are being sold at 45% OFF (for a limited-time introductory release.) 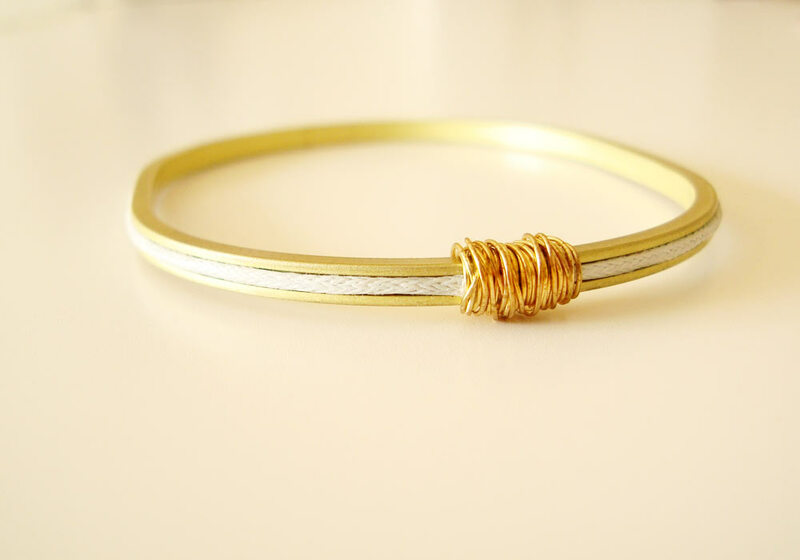 That makes the $30 bangle JUST $16.50- at that price, it’s hard not to stack them to your elbows! The sale won’t last long- runs until July 31st! 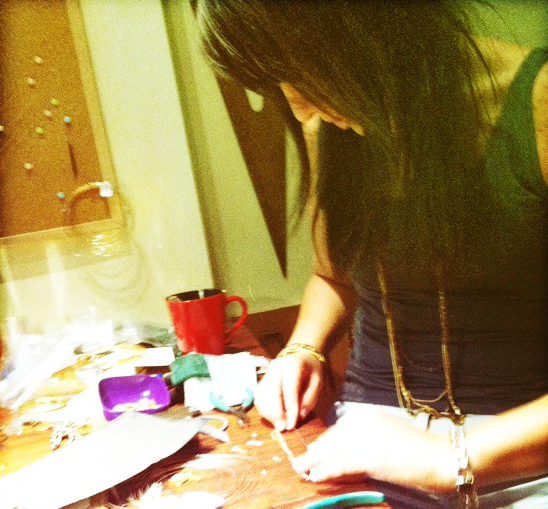 Make sure to visit Ceciliagonzales.com for the perfect arm candy before they sell out! What’s more, considering the matte finish and subdued colors, these bangles can be worn seamlessly with the bracelets you already own- adding a chic touch to your day-to-night looks. Wear one with a long necklace and simple earrings for a chic daytime look. Stack many on one arm and wear with that perfect little black dress. Get funky with multiple colors or stack suede and thread bangles in the same color for a fun mix of textures. The possibilities are endless! In the area? Stop by the inviting showroom to try them on!